Last week I wrote a post - Mood Swings, Medication, and Multiple Sclerosis - in which I shared a slice of my mental health reality. For me, the experience of mood swings being more prevalent during certain times of the month has become much more common since finally being diagnosed with MS and prescribed Copaxone. Whether the cause of the mood swings is MS itself, a side-effect to medication, or simply hormonal changes, the experience remains as unpleasant. The passionate response to the post was humbling for me. What was intended to be simply light-hearted, spoke the truth for several individuals who saw themselves in the description of my personal experience. Thanks so much for sharing part of your own story with me. Let’s extend our conversation and discuss the ways in which mood can be affected by multiple sclerosis. As you can probably guess, I find this topic to be highly fascinating and increasingly more relevant to my MS experience. I must admit that I experience clinical depression and have for many years. Within that experience, I also have major depressive episodes and have been fighting not to sink into one in recent weeks. So I’m selfishly interested in examining this topic for the benefit of our community at MS Central and for myself. For the next few weeks, I will discuss depression, mental health, stress, medications (including side-effects), and multiple sclerosis. We will also explore ways to manage each of these influences and maintain our quality of life. What topics are of most interest to you in discussing Mental Health and Quality of Life? I have my ideas of where to go with this, but it’d be nice for you to also guide the conversation. 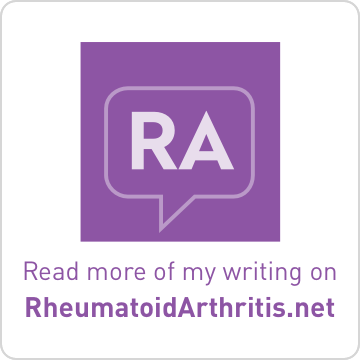 An excellent topic Lisa, that I would like to help you to expand upon, and with the aid of my blog and feeds to the MS community via facebook, we might be able to get many others (outside the hundreds you normally communicate-with ) to respond. I personally (and obviously) do not have this monthly homronal interaction but can say that I do have monthly mood swings and I do not think ( based on patterns) that it has anything to do with my interferon therapy but rather , just the ms itself. Let me know if I can post your message to my blog. And /or if you want to add or delete anything. 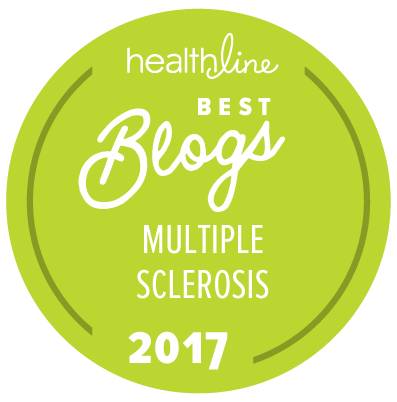 Working together will help the MS community. Lisa, Please stop by my blog and pick up your well deserving award. And a special thank you for all you do. I find these topics very interesting. 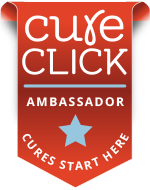 Last month we attended a seminar where Dr, Stanley Cohan, M.D., a MS specialist in Oregon. One of the topics he covered really explained some things to me. 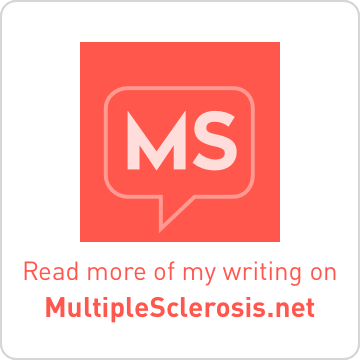 I have spent days/months trying to figure out how I could be diagnosed with MS when I really never had any of the standard symptoms until it hit with a vengeance. How can this be I wondered? Then I heard the best explanation for me so far. He said that although rare many folks have silent symptoms for years. Something to do with where in the brain the lesions were but they caused emotional and behavior changes. My partner was like nudging me under the table and letting me know that yes indeed this was hitting home for her. I think my mood has lasted for a good year now and maybe just recently I have been breaking out of it. I have struggled mentally to come to terms with my physical limitations that for almost 50 years, well...let's say I never thought I had physical limitations. Really I did, but, 7 aspirins generally dealt with them because I had a phobia of doctors and never questioned that I might have something serious that caused it. Well, enough about me right now. I realize I am not alone. But, let me finish by saying, regarding my mood...my shell that I crawled into one year ago after I was diagnosed; while it was my reaction to my physical health and the diagnosis itself, it was mostly in my head. I can still do anything I want, I just can't do it as fast, as foot-sure, or as long as I used to. If I am to shed the mind-shackles I have created, I have to motivate myself to be the determined person that I know I can be. I have to use my stubbornness and all my other bad personal qualities to my advantage against my MS!